Play dough is always a fun activity for my boys. They both love the feel of it and all the fun things they can make with it. This winter I wanted to make some snow play dough for Little Bear and Smiley Man. 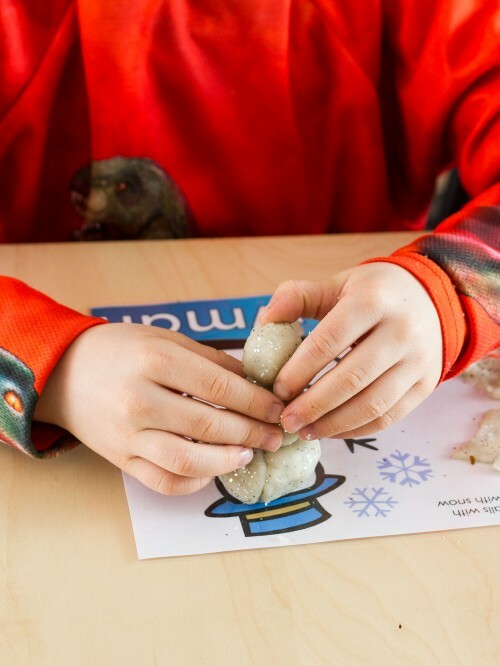 (Play dough recipe and directions to make snow play dough included in link) They loved it! They played with it for about an hour non-stop. They also loved helping me make the play dough since the only play dough they have ever played with is store bought. 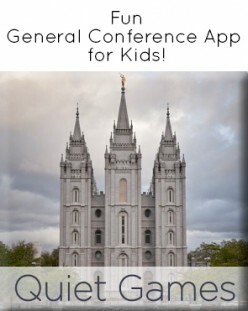 Well, I know my kids well and I know that next time they play with the snow play dough, they will still be excited, but Little Bear will only play with it for 15 minutes or so. I wanted to make something for him that would keep him busy with the snow play dough so I made some snow play dough mats. 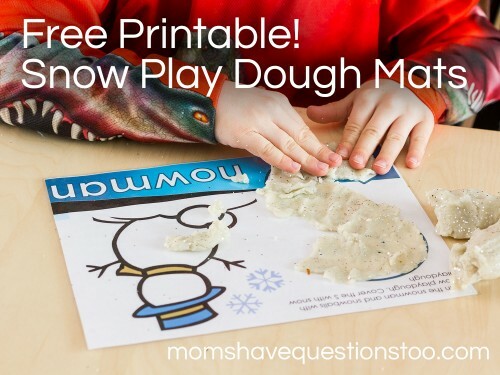 These play dough mats are made specifically for snow play dough, but they will still be fun with any color of play dough. I printed these off in color and laminated them. 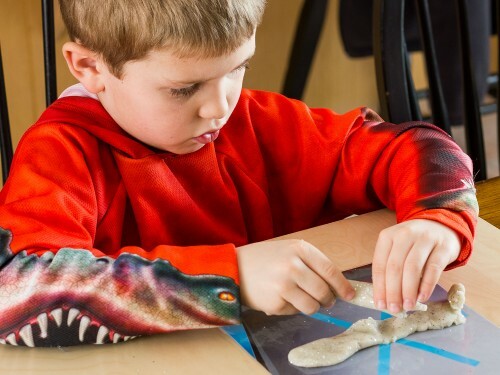 However, I know from experience that a play dough mat printed off in black and white and covered with contact paper or even packing tape is still just as fun. Little Bear does like the colored play dough mats a bit more, but he still likes the black and white ones I’ve printed in the past. Little Bear’s favorite play dough mat is the snowflake one. We talked about how every snowflake is different, then we looked up some pictures of snowflakes. We also talked about how a snowflake is always 6-sided. He really likes coming up with a unique snowflake design, and then smooshing all the play dough together so he can make another one. I was surprised by his fascination with snowflakes, but it’s probably just because of the snowflakes pattern blocks templates he has been playing with.